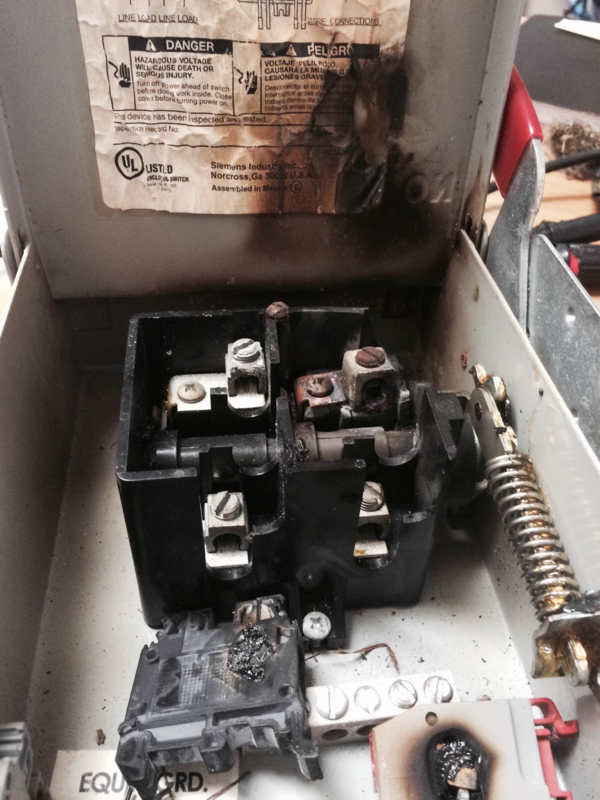 In this example the installer used an AC rated disconnect to switch DC. AC and DC are different, with DC it is possible to draw out large arcs. 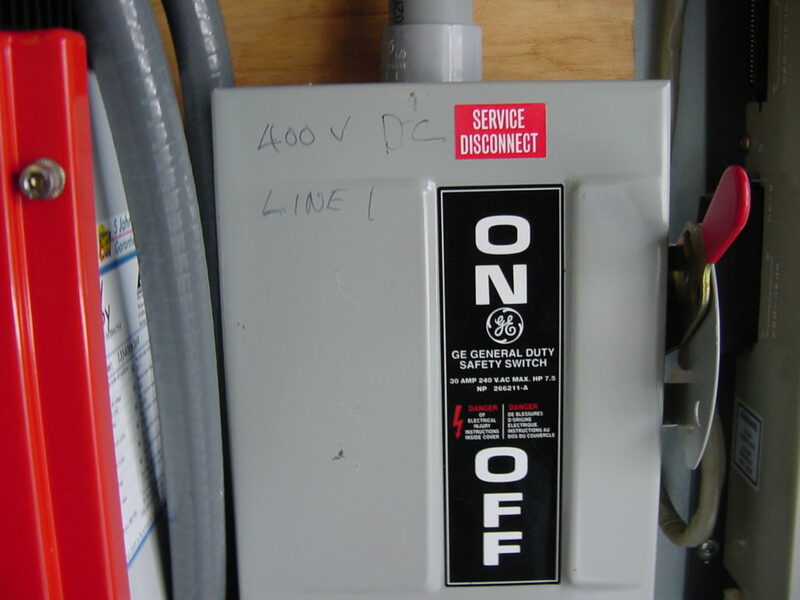 DC rated disconnects use larger switch distances for the blades and will snap open and closed all to help prevent and extinguish an arc. A quick way to demonstrate this is to use a normal household light switch, when you flick it on and off, it is smooth. If that switch had a DC rating it would snap on and off very quickly and you would feel the resistance of the internal spring. Here is another example of the wrong disconnect being used. The installer hand wrote 400V DC on the disconnect…look at the factory label, 240V AC which is the maximum rating for this disconnect.